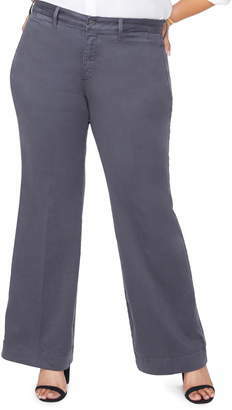 Classic regular-fit ankle pants featuring a side slit Banded waist Zip fly with button closure Back welt pocket Side slit at hem Rise, about 12" Inseam, about 27" Leg opening, about 14" Rayon/nylon/spandex Machine wash Imported. Salon Z - Casual Sportswear. 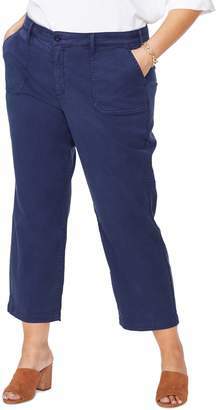 NYDJ, Plus Size. Color: Black. Size: 20W.